The HDX 4-Shelf Black Plastic Storage Shelving Unit offers additional storage space for your utility room, pantry, garage or closet. 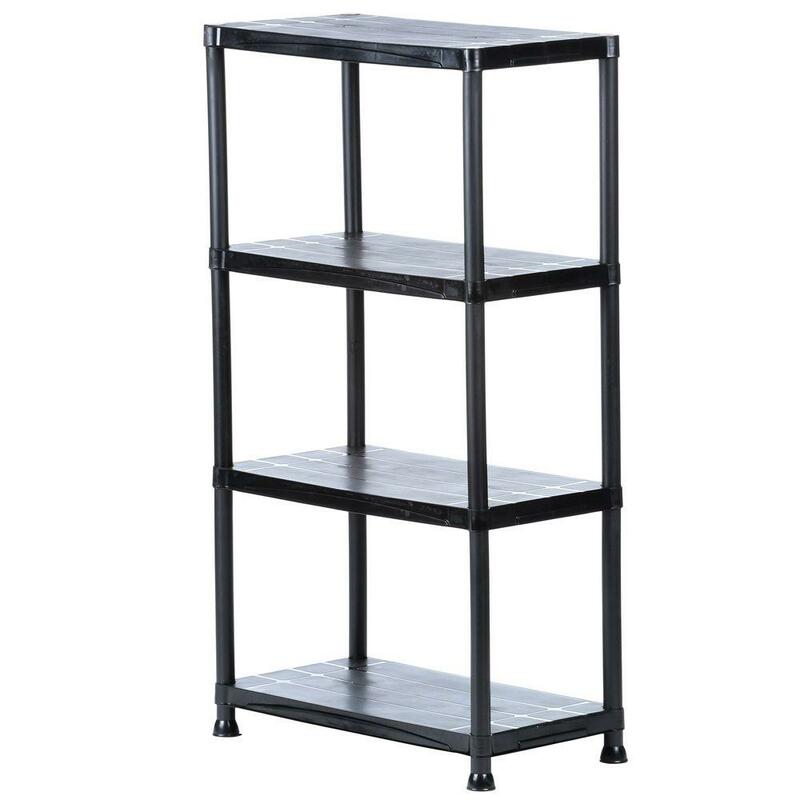 Featuring 4 shelves to keep your items neat, organized and easily accessible, the unit is made from black resin material designed to resist rust, dents, stains and peeling. Non-adjustable for extra stability, each shelf holds up to 66 lbs. to support a variety of items from cans to books and more, and the compact design fits easily into small areas, perfect for maximizing corner space. 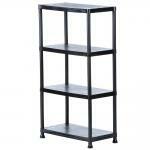 Shelf Weight Capacity: 66 lbs./ Total Weight Capacity: 264 lbs.